Learn what makes a career in data and tech from the people who inspire us. 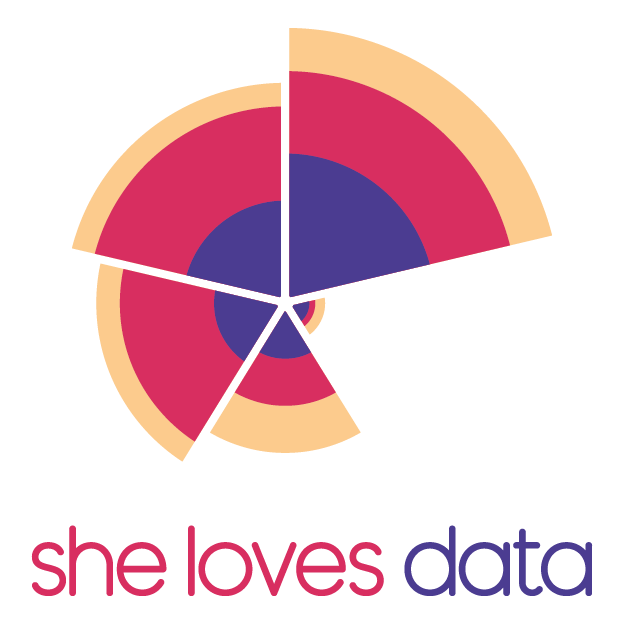 Introducing Real People in Data, a new interview series by She Loves Data! We invite leaders, change-makers, and newcomers to share their insights on career-building, what keeps them going, and more. Jana Marlé-Zizková is an unconventional female leader in the tech industry. Before co-founding the start-up Meiro and nonprofit She Loves Data, she took time off to sail around the world for three years. For our very first interview, we talk to Jana about how she found her way from corporate to start-up world and the values that guided her. Share a little about yourself. How did you come to be a co-founder of Meiro? It was a long journey that was never planned. Computer Science was my major, but I studied Marketing and Management as well. I worked in marketing roles for Sony, Estée Lauder and Sybase. Then I worked 12 years for SAS. This was my first real experience with data—’analytics and data mining’, past term for artificial intelligence and machine learning, it actually existed before. We had a data mining team, and I saw for the first time how diversity plays an incredible role in driving better results. I took on incredible roles I was not really trained for. They would ask, are you ready to open an office in Ukraine? We just terminated a contract for a country manager in this country, would you run it until we find someone else? It was then I started to talk to the customer on a completely different level. Suddenly, I was not selling technology, but I was talking about strategy. I was discussing with clients how to solve their business problems with the help of data. When I took the opportunity to move to Singapore with my now-husband, my career got a hard stop. I was told that I didn’t have the network here or an ‘Asia’ experience. I couldn’t get the roles I was applying for. Out of 60 or so CVs I sent out, I probably got back around 8 replies. This was the point I had to act differently. Eventually I got an offer to join a large company, but at that point I had so much experience working for corporations, I wasn’t sure if I would learn anything new. There were also certain corporate restrictions I was not willing to compromise as they weren’t aligned with my life values. I believe that everyone needs the ability to have a proper private life while working and company values have to resonate with the private ones. I joined a start-up in social media analytics instead, and I have to say thank-you to Socialbakers and Jan Řežáb, the co-founder. There, I realised the world of social data was so vast and valuable that if we were to take this data and we merge it with all transactional systems, like the traditional ERP and CRM systems, then the data has a much higher value for the organisation. When the investors made the decision not to continue with the consulting business, which I headed, there was no way to go back to the corporate world. I saw opportunities in the market to work with data and its integration. Before you do all the fancy stuff with data and apply advanced algorithms, you need to structure the data, put it in a form you can analyse and make it available. Together with my co-founder Pavel Bulowski, we first brought in a ETL technology from Europe, and two years later, we started Meiro. On hindsight, what did you realise about your earlier years? I remember how insecure I was in my first years with Sybase. But I had a mentor, which was critical to my success. This same guy who hired me said, ‘Don’t worry, I’ll be there for you, and if you have any questions, issue or problem, come to me and we can resolve it together’. And we did. A year later, I won an EMEA award as a marketing manager. It was an awakening experience. I realised how I was held back by my own insecurities. When did your career choice click for you? I learn through failure. When I was working for Socialbakers, I felt we were building valuable, custom projects for clients, putting together data sources so they could work more effectively with their decision making. When the investors’ decisions came to discontinue our work, 40 other people and I were suddenly out of a job. I decided I didn’t want to depend on anybody, I wanted to make my decisions about my own destiny. There were so many uncertainties. I was always financially independent, but when we started our first company, I remember telling my husband I would not be contributing to our household account for a while and I even asked him, could you pay my telephone bills? It might take one year or two before I could start paying it. He said OK. I was 46 years old, but I had no doubts about this change. When we were talking to Keboola to bring the technology to Asia, I was clear that I would do it under one condition, it was going to be under my own company. I never looked back. Give us some context on the Meiro technology. We developed our own software product when we saw restrictions in other software solutions. It’s a new approach because we use micro-services, containers of software that you can deploy anywhere. Imagine it as an easy-use data pipeline you can connect to any data system or tool whether it’s on-premises or in the cloud. We can extract the data, structure and transform it, and make it available for analysts and business users. Our focus is on customer data. Today, there are so many systems handling customer data and this data is often in siloes. You want to manage the customer experience in a holistic way, so we connect it and make this data from all different customer touchpoints and systems available to different people and teams in the organization. What are your best life hacks for the most challenging part of your work today? I’m convinced your work must be something you’re passionate about. Then you don’t have to look for work-life balance. I don’t mean that you should work 15 hours a day. You should enjoy what you’re doing, and you put energy into something that’s rewarding for you. When I worked for Sony for nine months and resigned, it was horrible. People were supposed to work 15 years for one company then. When I resigned, my mum who was in HR told me I needed to take the hardship. And I said no, I was not learning anything from my boss. I believe you always need to listen to yourself and be honest to yourself. If you don’t feel great, do something about it. Tell us about a time when you tried a new or unusual routine to get things done. We had to tackle this issue: How do you take on projects when your clients and team are across different continents and time zones? We have a few rules—we are always open and transparent in terms of what’s happening. When you say you will do something for your colleague, you really must do it. We have the same set of rules with our clients. And if something does not go as we planned, we honestly tell them. In the morning at 9am, our team need to be reachable no matter what time zone they are in via WhatsApp, Slack, or email. Separately, we have a specific slack channel, called news and education. We use it to share articles or podcasts with the rest of the team. It is a great way to learn about new tech or news in our field. Our team has found it useful for learning and knowledge sharing. What would you say are the most understated skill-sets? Soft skills. For our hiring process, we first check the attitude a person has in learning new stuff and what is the mindset of this candidate. Is this person proactive? Is this person someone who comes up with new ideas, who works well in a distributed team, and communicates well even if in written form? Then we look at the hard skills. We want to have people who like data, if not love data, because they will naturally be interested in learning new skills. What we usually test in the interviews is the logic of how people approach problem-solving, how they code, and how they document their code. We mainly use SQL and Python or R. If you have a GitHub, great, we can look at your projects and see whether you’re active in a completely different way. Do you really explore this world of data on your own? When we hired our CTO and third co-founder Vojtech, I thought he was five-six years older because he had so much experience. It was because his hobby was data. He was analysing level of accidents on a highway where he was travelling to visit his family when he was 14 years old! Amazing, right? You want to work with these people because they enrich you and the team. What’s a common misconception about working in the tech start-up scene that you would like to correct? When you have a start-up life, it works almost like a wave. You have periods in your life where it’s all great. Then something happens and you question yourself. You dip down into doubts, not about the whole start-up, but about certain decisions. What I found fantastic was having co-founders. There are three of us, and there usually is one who can cheer us up when the other two are down in doubts. When I started with Meiro, I had many roles and one of them was CFO, and I had to handle the accounting. I didn’t like it, but I knew it was important and I had no other choice. In start-up life, you have uncomfortable moments where you do things that go beyond your knowledge because you can’t afford to hire the expert. You see the glamorous unicorn start-ups, but you have to remember there are millions of other companies that you don’t see. They struggle or do normal jobs so it’s not newsworthy. Having your own company or having a non-profit that is your passion, you can work all the time. I learned I have to stop myself sometimes. My husband and I talk about no screen time. It feels lately like we’re addicted. After working the whole week, you can take your mobile phone and relax your brain with Instagram but you can waste so much time there. I enjoy cultural experiences—theatre, art exhibitions, pottery or just learning from my husband about post-production of photography. She Loves Data! And it’s more than a side project. It has evolved to something much bigger. Just the other day in Hong Kong, we had our signature Introduction to Data Analytics workshop. I was worried we would be sitting there on our own or with just five ladies. It is always new and exciting when we come to a new location, but you never know the outcome. We had a hundred women in the room that day and we even had to bring in chairs from elsewhere. This interest tells you there is such a need of empowering women. The word ‘empowering’ almost sounds cheesy, it is often overused, but it’s so important to give women a chance to tell them, look you’re worth it, learn something new or build your own new career, be ambitious, it is OK! We’ve seen lots of mums in our workshops who are thinking of rejoining the workforce, and this is a great possibility to encourage them that it’s not so difficult to refresh their knowledge. They can do it with us in this ‘judgement-free’ environment of women who want to learn. I’m always repeating it but we build this amazing sisterhood, we put like-minded individuals in one room and they see that they’re not on their own, there are other women who want to learn and explore. I’m not saying we build data scientists out of each of them. Not at all. We teach them to embrace data and tech. Data will be in any job and any industry very soon. It’ll be important to know how to work with it. Maybe you’ll change your job and have an exciting career because you’re doing things that are pushing you up as an individual. We’re trying to open new doors for creative work with data. I was lucky, it’s going to be almost 12 years that I had a big change in my life. I was thinking then, how do I want to define purpose in my life? One of friends who was a life coach asked me, what kind of action do you take today to be relevant in ten years? And it opened my eyes. We need to ask ourselves that question frequently. You start with yourself and find out what makes you tick. It’s very individual. Find key trends, tools, and community in this area. For me, it’s how to drive better customer experience with the help of data, and that’s what we do at Meiro.